Tourist attractions and places of interest, attract and create interest among visitors, either with their beauty or glorious stories. The list of tourist spots, famous for their glorious past, rich history or breathtaking scenic beauty is quite long. You as a tourist must have a thorough knowledge about many of these spots. But how often have you got to hear about places that attract people for the wrong reason? If you are yet to step in such a place, then Maldives is surely a place that you need to explore. One of the top tourist attractions these days, the Maldives have got a breathtaking archipelago of islands where one can enjoy a great time in different ways, relishing amazing underwater in Maldives of one of the must do things in the Maldives. But apart from some stunning islands, Maldives include an island named Thilafushi, which is recognized for its sorry fate. Thilafushi is an artificial island which was created not to increase the landmass of the archipelago for residential purpose, but for dumping wastages and garbage coming from all over the archipelago. The story of Thilafushi could be described in one sentence-From an island to a dumping ground. Solid waste like batteries, asbestos and metallic objects to municipal wastes, every item sacrificed by the people of Male find a place at the Thilafushi where deep pits have been dug to deposit them. After they are packed the pits are covered with white sand. Thilafushi, which was born to take the pain, started digesting the ‘indigestible’ from the year 1991 and within a few years its landmass is increasing since garbages started pulling over. Previously trucks were used to carry the garbage to the artificial islands, but boats were introduced soon as the need for removing garbage from Male increased. With time, the volume of dumping on Thilafushi has increased and has resulted in an increase of the island’s size. Wastages are dumped in large piles amounting to over 300 tons every day and is used to reclaim land which is used for industrial purposes. Yes, an interesting fact about of Tjilafushi is that a part of the ‘trash’ island is bringing smiles to the faces of industrialists as they are generating great revue from their warehousing, cement packing, methane gas bottling and boat manufacturing businesses here. 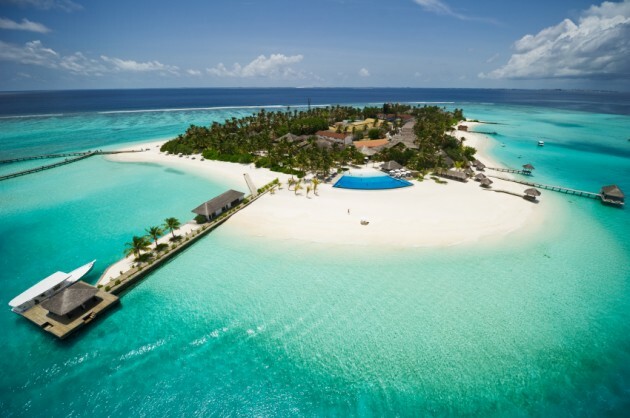 Though Thilafushi is not an impressive spot to visit, Maldives is. 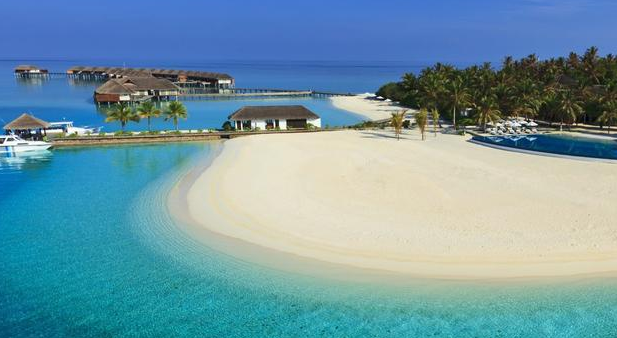 To make a charming island trip, search for Maldives packages from India and opt for the one which suits your budget. But before buying one, find out when to visit Maldives and then plan accordingly.